Sixteen artists from around the world come together to pay tribute to the arresting, gorgeous songs of Connecticut folksinger Kath Bloom. Since the mid 70s, Kath has beguiled listeners with her haunting voice and powerfully honest songwriting. 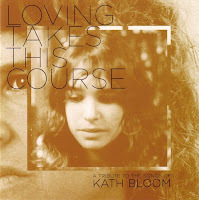 Best known for the song Come Here (as featured in Richard Linklater's 1995 movie Before Sunrise), recordings of Kath Bloom's intimate, literate songs were long restricted to obscure 1980s collaborations with avant-garde guitarist Loren Connors. Her stock looks set to rise belatedly, a la Vashti Bunyan, with this 16-song tribute by the nabobs of the nu-folk corpus. There's more than a generational imprimatur at play here, however. Bill Callahan's starkly beautiful reading of The Breeze/My Baby Cries proves that Smog weren't the first to transplant drolly succinct, Raymond Carveresque narrative into song, while Finally and There Was A Boy might have been written for brooding Mark Kozelek and windblown Meg Baird, respectively. Devendra Banhart's bubblegum garage take on Forget About Him, meanwhile, confirms the malleability of Bloom's art. Disc 2 features the author's originals - tender, ageless and absorbing songcraft. 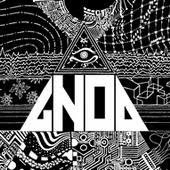 Since early 2007 Manchester based cosmic collective Gnod have been building a hell of a reputation as a ‘must see’ live band. Supports to the likes of the Sun Ra Arkestra under direction of Marshall Allen, Acid Mothers Temple and Sonic Boom, and their recent European tour, have gained them a Marc Riley session and also resulted in a forthcoming collaborative release with New York’s White Hills (Thrill Jockey/ Rocket). The record comprises two sides of free-sprawling jams and psyched-out space rock, captured live and raw, then fucked with, just a little, before being cut to wax for good measure. Previously available only at gigs, there are limited copies available of this release, so act accordingly - fans of Sunburned Hand of the Man, The Skaters, No Neck Blues Band, Taurpis Tula, Hawkwind, and Amon Duul won’t be disappointed. Their self-titled LP01 follows a spate of CD-R releases to date, and is their first full length vinyl release. No discernible tracktitles, save for the back cover text: "PARIAH CHILD"